Florida does not recognize the concept of “wrongful termination.” Florida is an “at will” state, meaning an employee can be fired at any time for any reason that is not an illegal reason. Illegal reasons include whistleblower violations and anti-discrimination law violations. We represent employees and employers in these cases. 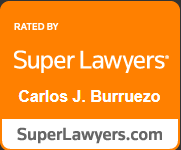 Contact the Orlando discrimination law attorneys at Burruezo & Burruezo, PLLC. Call us today at (407) 754-2904 to schedule a consultation. Is a Remote Office All It’s Cracked Up to Be? Maybe. Embracing Technology. Becoming More Human.